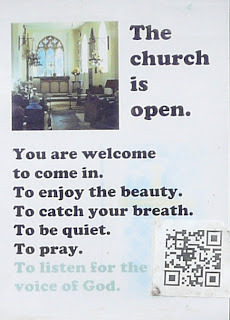 The people of Hethel want you to use their church and the surrounding area for your spiritual well-being. Their notice board and their entry on the www.achurchnearyou.com website make it equally clear. You couldn’t be more warmly welcomed! If you were looking for a place to heed Jesus’ call to “ Come away to a deserted place all by yourselves and rest a while.’ (Matt.6.31), or to “Consider the lilies, how they grow.” (Luke 12.27) All Saints’, Hethel would suit your needs perfectly. Next door to the church is the country’s smallest nature reserve with the country’s oldest Hawthorn tree. It is inevitable that someone should have claimed it as having sprung from Joseph of Arimathea’s staff but it is only 700 year old!